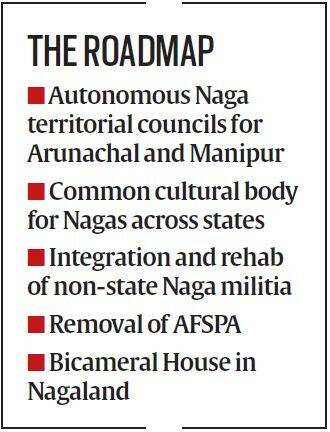 Naga accord: The final draft of the Naga accord, which hopes to finally bring India’s oldest insurgency to a close, is now looking to jump the final hurdle: an agreement over the Naga demand for a separate flag for the state. The Central government and Naga armed groups are said to have finalised the substantive portions of the peace accord which is likely to be signed before the monsoon session of Parliament. 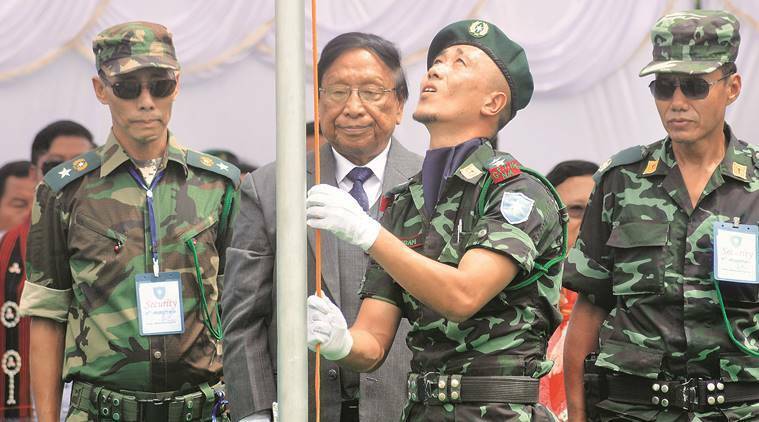 The final draft of the accord, which hopes to finally bring India’s oldest insurgency to a close, is now looking to jump the final hurdle: an agreement over the Naga demand for a separate flag for the state. The government is also apprehensive about a violent reaction in the Manipur Valley to the signing of the accord. The accord, official sources told The Indian Express, does not change the boundary of states; provides autonomous Naga territorial councils for Arunachal and Manipur; a common cultural body for Nagas across states; specific institutions for state’s development, integration and rehabilitation of non-state Naga militia and the removal of the Armed Forces Special Powers Act. 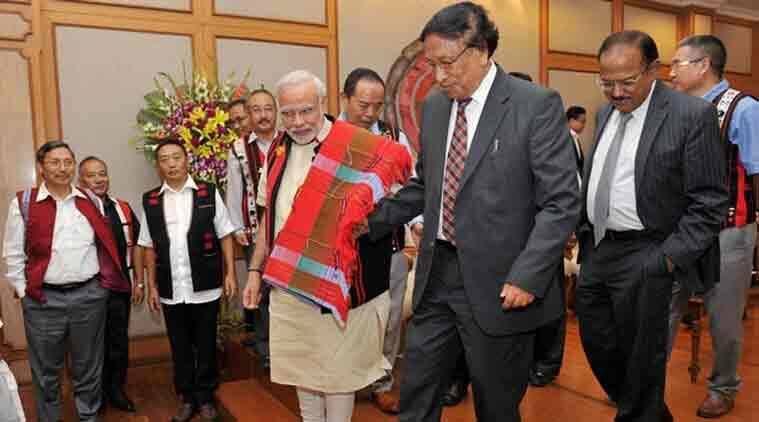 When contacted by The Indian Express, the Centre’s interlocutor, R N Ravi, who signed the framework agreement with National Socialist Council of Nagaland (Isak-Muivah) or NSCN-IM in August 2015, said: “Yes, we are pretty close to finalising the (Naga Peace) accord”. Ravi has been closely associated with the Naga peace process for decades in various capacities as an Intelligence Bureau officer before taking over as the Centre’s interlocutor in July 2014. Sources said the final draft is almost ready and it is only “a matter of crossing the Ts and dotting the Is.” It could be taken to the Cabinet before being signed in Delhi “in a couple of months if there is no slip between the cup and the lip”. 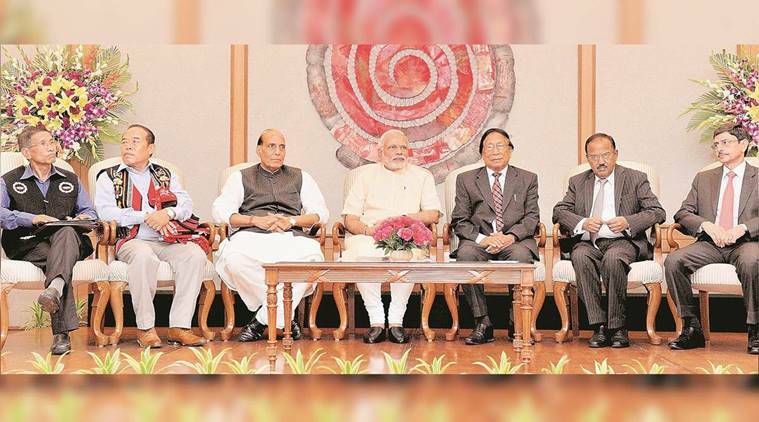 Talks between Ravi and Naga bodies, the Naga National Political Groups (NNPGs) — comprising the representatives of six influential Naga rebel groups — and NSCN-IM are currently taking place in Delhi. The next meeting is scheduled for Thursday. Although the Centre is dealing with seven Naga armed groups, sources said it will sign “only one single accord with all of them”. Sources said the contentious issue of Naga autonomy has been settled amicably with India’s federal structure emphasising “shared sovereignty” between the states and the Centre. One issue still being negotiated is a “symbolic one”, sources said, wherein Naga groups are demanding a separate flag for the state. The Centre has, however, made it clear to the Naga groups that it will not be able to concede that demand in the peace accord. Given the long and contentious history of the Naga insurgency, this could turn out to be a tricky issue. Sources said the accord does not involve any change in the boundaries of the states, thereby allaying fears in Manipur about the deal. It preserves the paramountcy of the Manipur state government while providing for an autonomous Naga territorial council in the state. Besides Manipur, there will be an autonomous Naga territorial council in Naga-majority areas of Arunachal Pradesh but not for Assam. The accord also provides for a common cultural body for Nagas across states which will be statutory in nature. This body, which is envisaged as a socio-political platform, with “no political role”, will have representatives from all Naga tribes. The accord also contains certain structural changes in the Nagaland legislature — a bicameral legislature and increase in the number of parliamentary and assembly seats from the state. It will also lead to formation of some specific institutions for development of the state as a commitment from the Centre. The Naga armed groups will stand disbanded after the accord and the non-state armed militia who are eligible will be absorbed in central or state forces. Those who are not eligible will be rehabilitated by the government. 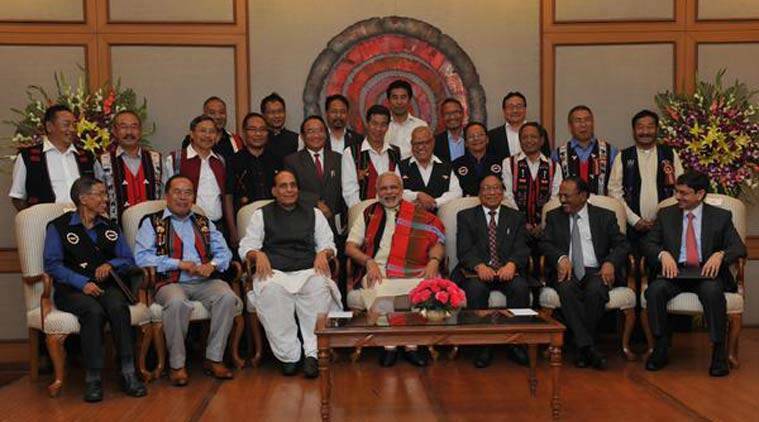 The accord also promises the removal of AFSPA from Nagaland as a logical consequence of these actions. After the draft is finalised, the BJP, which is the ruling party in Manipur, Nagaland and Arunachal Pradesh, will have to be brought on board. As the ruling party at the Centre, some sections of BJP have concerns about making too many concessions to Nagaland, a Christian-majority state. Sources said that with the general elections scheduled for 2019, the accord has to be signed before the monsoon session of Parliament so that it can be implemented in time. The accord will need some Constitutional amendments which will have to be passed by the Parliament and state assemblies after a due process. The more substantive issue before the Centre pertains to fears of a violent reaction in Manipur Valley where there is a genuine sense of insecurity about the deal. The Centre and Manipur government are exploring ways to assure residents of Manipur Valley (which has 60% of state’s population with 10% of state’s land) that their land will be secure. As of now, while anyone can buy land in the Valley, the sale of land is restricted in the hills, an area dominated by Nagas. A law for Manipur restricting the sale of land in the Valley could be announced simultaneously with the signing of the accord.